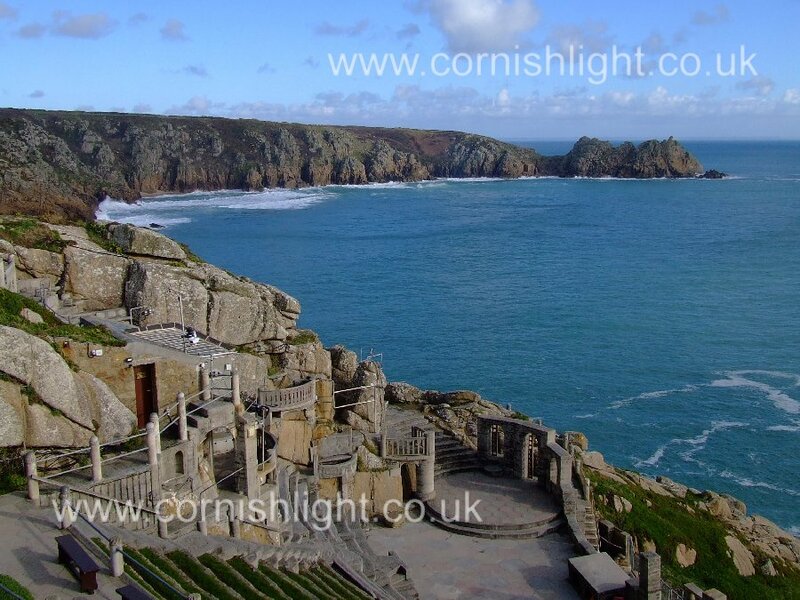 In the far West of Cornwall is The Minack Open Air Theatre, or Theater for those visitors from across the Atlantic, in one of the most beautiful settings one can find anywhere in the World. Perched high on the Cliffs , with the stunning blue sea of the Atlantic Ocean, and the wonderful coastal vista of Porthcurno Bay with Logan Rock as a backdrop . Whether you are here on a Cornwall holiday or a local there is nothing more delightful than watching an evening performance at the Minack Theatre with the moon shining down and the sound of the waves gently lapping at the rocks below . The Minack Theater's Summer Season lasts for 15 weeks, and features shows from Shakespeare to Opera to Musicals. Tickets can be booked in advance. Many shows sell out quickly, but you may be lucky and get one on standby. For more information visit www.minack.com . Porthcurno Beach is only a stones throw away. A mile or so along the road from the entrance to the Theatre is St Leven Church , and down that valley Porthgwarra Beach, both missed by many visitors to Cornwall. This delightful Church nestles in a hollow, the North Transept dates from the 13th century. In the Churchyard is St Levan's Stone, split by a strike from the Saints staff, or at least that is what the legend says. Only Porthcurno Beach itself is manned by lifeguards in Season. 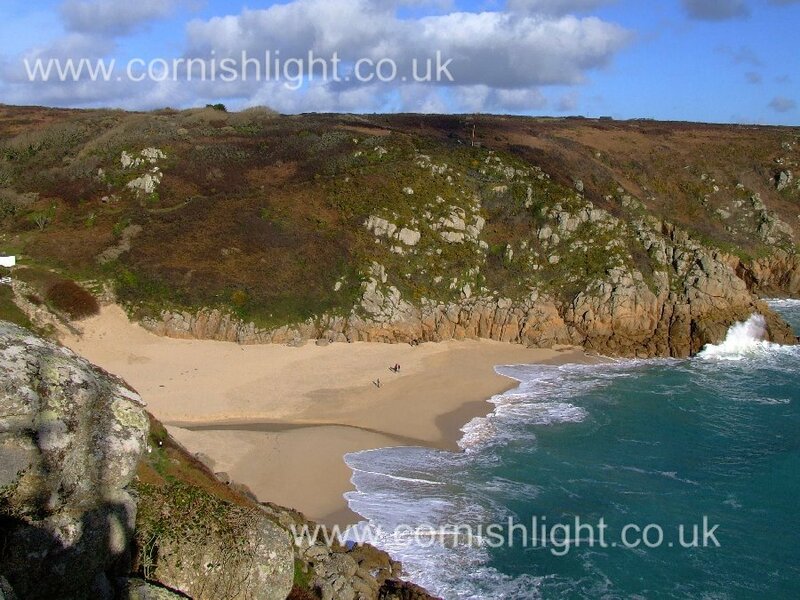 Porthcurno has a large car park behind it, making it very popular with families. 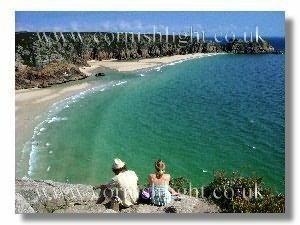 There are numerous rewarding Cornish Coastal Walks in the area. East to Penberth Cove, or West to Gwennap Head or Lands End for the keen walker.